As a long time fan of Brandon’s writing, I’m always amazed at a couple of things. Firstly that he has the ability to turn them out in such volume and secondly, that each book is exceedingly well written. Here in this, the latest book in his Mistborn series, the reader is treated to a new Steris and Wax tale which not only expands on what has gone before but allows them to continue on their journey of discovery. Its definitely a quirky series, one that will speak volumes to fans of fantasy and whilst Brandon ‘s work is always good this one surpasses what I was expecting in a good way. It was a book that was delightful to spend time with. One that I had to really slow my reading with (as I was enjoying it so much) and one that I savoured every new detail with. Add to this top notch prose an unsurpassed use of pace as well as dialogue that trips from the page, generates a solid five star book that will really give this year a great start for many fantasy fans. Cracking. I love a good scare with a crime novel and Simon is an author that’s done that very well for me in the past. 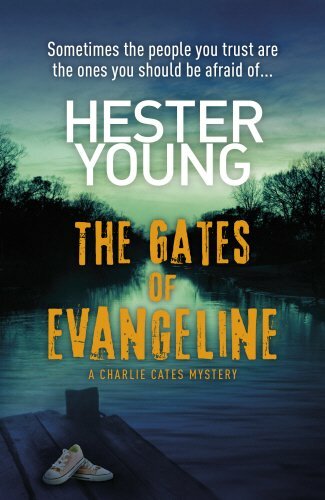 Here in his latest title he’s done it again with characters that stand out that generate a sense of unease within the reader each time they head towards a dangerous situation. Its definitely something that will pull at the heart strings, have you gasping for breath between some sequences and generates something that is, at times, just too hard to put down until you see that they’re alright. 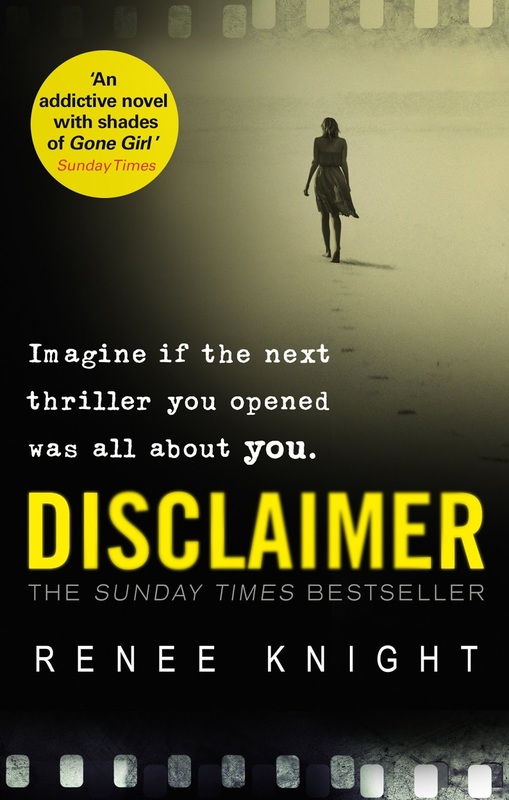 Add to this a plotline that hooks you in, dialogue that trips off the page and all round I was a very happy reader. A real treat for a new year. 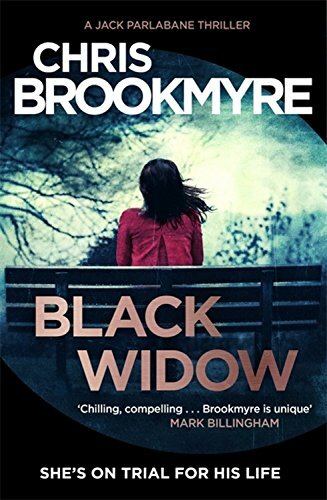 OK, its been a while since I last read a book by Chris Brookmyre (Pandaemonium, 2009) so I was interested to see what he’d not only learned but also how his writing style would adjust to a different genre, after all to radically change from UF to Crime can be quite a shocker. However I shouldn’t have worried. The writing was punchy, the prose sharp and when added to the authors no nonsense attitude to getting to the heart of the matter really works well for this type of title. I loved the way he brought the characters to life, making me genuinely care about their fates which when blended with a plotline that keeps you glued as information is gleamed all round makes this a book that will give you a hard time putting it down as your respect for tomorrow fades. Cracking. The year is 2065, almost thirty years since a bioterrorist attack decimated the population. The world has been divided, and new nations have formed. Those mutated from exposure inhabit the red zones, while norms live in the green zones. In the nation of Pacifica, Los Angeles detective Cassandra Lee must cross into mutant territory in order to solve the citys toughest crimes. I’ve read quite a few of Williams books and one thing that they tend to have in common are characters thrust into situations that are catch 22 where any choice made can lead to someones death and usually does. They’re well written and whilst I’m not a fan of every book that he’s written I do enjoy taking time out to sit back and see what has occurred in the latest outing. Here the reader is treated to a bleak future where the US has fractured into various new countries with each trying to over power the other through acts of war. Its well written and seeing things from the point of view of a cop who has her own emotional alongside professional problems to deal with when an army attacks her city. 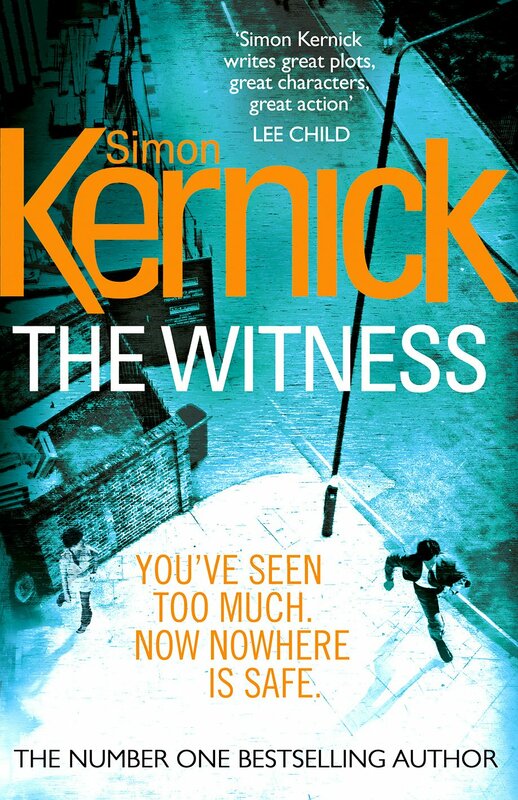 Its heart in mouth throughout and when the reader gets to see a serial killer trying his best alongside the sheer terror of an active warzone all round makes this a book that was a joy to read. Add to this solid prose, a female lead who does her best to fight for her beliefs and loved ones, all round gives you a book that will have you routing for her no matter what. Great stuff. Ethan Miller is about to start high school in a brand-new town. He's finally sporting a haircut he doesn't hate, has grown two inches since middle school, and can't wait to try out for the soccer team. At last, everything is looking up in life. I wanted to read this book as I was more than interested in the idea’s that it promised to explore, how someone would adjust to not just a new school but a new body/gender/identity yet, the character just seems to slip into it and to be honest really annoyed me as all they seemed to do was fulfil stereotypes rather than striving to break ground like this title could have done. For me, it’s a book that promised much and whilst I can see things being well done, I feel that the authors have sadly taken an easy route rather than fully exploring the subject matter with questions that many teenagers find themselves going through being largely ignored with only brief references rather than a more in depth understanding of what teenagers ask of themselves. All round I was disappointed with this book but hope that in future outings they’ll fix some of the problems with this first book and present a better rounding for other identities. 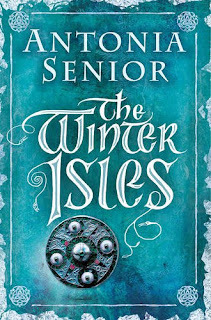 An Historical Fiction treat from Antonia Senior and one that will take you on one hell of an adventure to the West Coast of Scotland in the 12th century as one warrior becomes a lord and seeks to make his mark on his realm. As usual with Antonia, the writing in the story is something to behold, the way that our principle character makes his way through the tale becoming something more than expected. Its beautifully descriptive, the prose addictive with dialogue as well as characters that just step from the page as real people. For me it’s a pure joy to read and as such was a book that I took plenty of time over to analyse the details as well as getting to know the characters so that I could look up what is written historically about them to investigate a past that has been so lovingly brought to light. All round a cracking read and one I’d recommend to anyone looking for a book that will delight as well as fascinate them. Three years ago, Janey Nolan was murdered in the centre of town. Today, no one knows who did it. Sick of waiting for the powers that be to rid the streets and school gates of dealers, druggies and parasites, Janey’s brothers want to avenge her death. While Sean decides to explore the routes and corridors of political power, Joey chooses more direct action in and among the alleys and pathways of the neighbourhood itself. 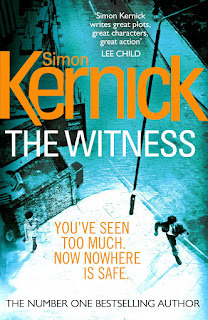 But can the brothers find Janey’s killer without bringing more danger to their town? 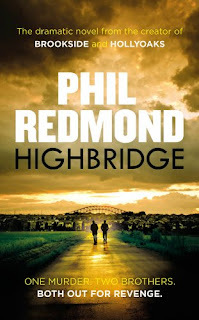 To be honest I know Phil’s name from a lot of TV programmes and whilst I enjoyed them I wasn’t sure how well he’d manage the change from screen writing to book format as it requires a lot of different skills. 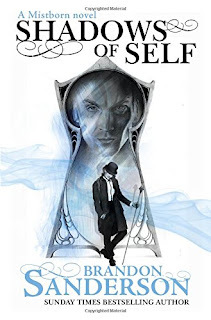 I shouldn’t have as for me, he brought the skills over wonderfully with solidly created characters, dialogue that really allowed the reader to associate with them as well as an overall plot line that drew me in wonderfully well. Add to this an overall arc that delivered on the titles promise as well as allowing you to thoroughly get into the players minds and for me this was a departure and a treat. 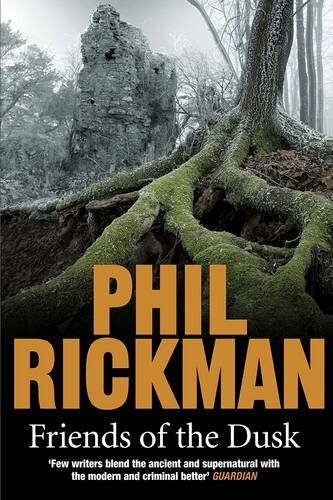 I’ll be recommending Phil to other readers wanting something a little different. To be honest I was originally a little confused with this title as the US and the UK have two different series names for it (US: The Long Winter, UK: The Hallowed War). 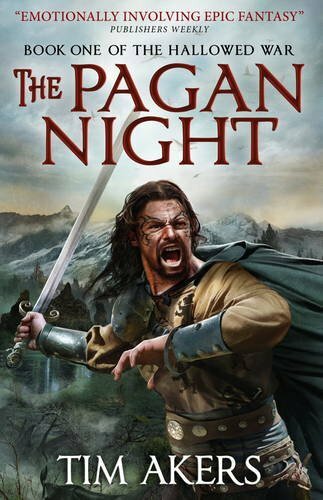 But a promise of an epic fantasy, old gods vs the new church as well as a civil war really does get not only the blood flowing but the mind as you’re being treated to something that really won’t let go. For me what really sells this book is Tim’s principle characters. They’re wonderfully described, backed up with solid dialogue as well as having flaws alongside traits that really allow them to breathe life into the world. All round a book I thoroughly enjoyed and a good enough start to allow a hell of a lot more to happen in the future and with high death counts, more people to introduce as well as other points of view to add, its going to be one hell of a ride. When autumn storms blast Hereford, centuries-old human bones are found amongst the roots of a tree blown down on the city's Castle Green. But why have they been stolen? At the nearby Cathedral, another storm is building around a new, modernising bishop who believes that if the Church is to survive it must phase out irrelevant archaic practices. Not good news for Merrily Watkins, consultant on the paranormal or, as it used to be known, diocesan exorcist. Especially as she's now presented with the job at its most medieval. In the moody countryside on the edge of Wales, a rambling 12th-century house is thought to be haunted. Although its new owners don't believe in ghosts, they do believe in spiritual darkness and the need for exorcism. But their approach to Merrily is oblique and guarded. No-one can be told - least of all, the new bishop. 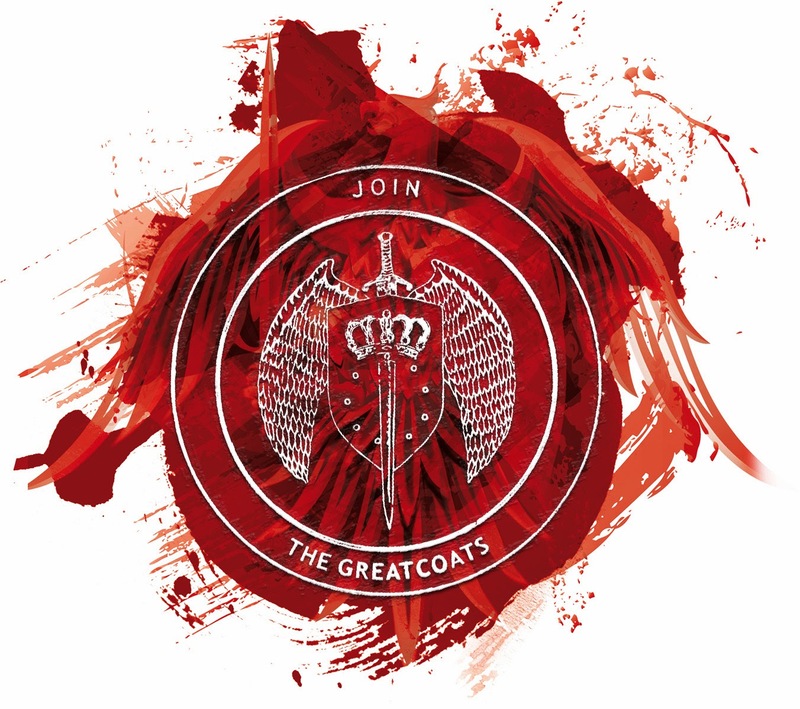 Merrily's discovery of the house's links with the medieval legend of a man who resisted mortality threatens to expose the hidden history of a more modern cult and its trail of insidious abuse. A trail that may not be closed. The thirteenth outing for Phil’s Merily Watkins and a tale that gives fans of crime thrillers the chance to add a good dose of supernatural to their murder. 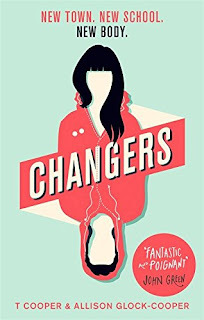 Its quirky, has a delightfully inviting availability to new readers and also generates a story that keeps you glued as the plot unfurls. The writing is decently paced, the prose solid and when you add an arc with a good number of twists alongside characters you want to spend time with, generates something that is a treat to enjoy. All round a great read and one that I’m more than pleased I took the time to savour. The latest book from John in his Charlie Parker Paranormal series (book 13) and lets just say after events from the previous outing, Charlie is thought to be broken and vulnerable, setting the tale up for a chance for others to get vengeance and what they think they deserve against the tales hero. 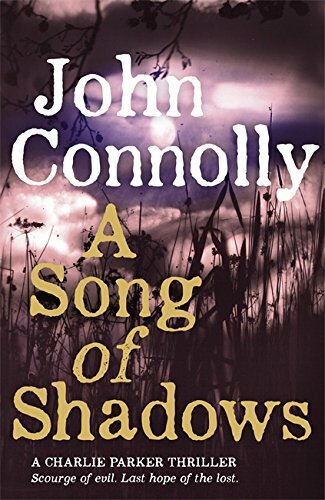 As with the other books, its well written and John has an ability to weave two genre’s together in such a way that they mesh seamlessly giving you a cracking reading experience. 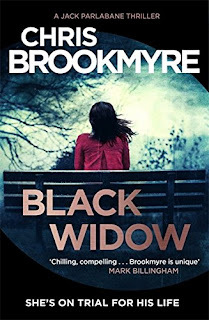 The prose is sharp, the characters delightful and when as a reader you get a story that brings dialogue that helps make the characters feel real all round gives you something that you know will be worth taking your time to read. 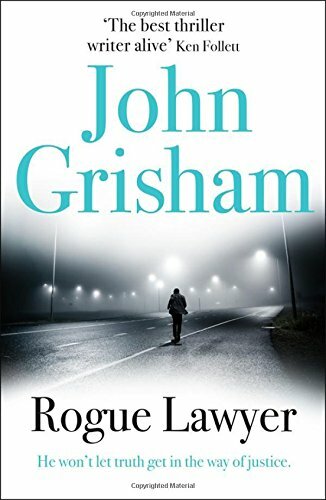 All round, when added to the others in the series I have to say that this is one of my favourites in John’s writing history. It really does bring Charlie to the fore and for me, showing a vulnerable side really helps make him feel more like a mortal man. Cracking. Along with Arete and several of his sons, plus a boatload of other volunteers--including the now fantastically aged Marsilio Ficino, the great humanist of Renaissance Florence--Pythias/Apollo goes sailing into the mysterious Eastern Mediterranean of pre-antiquity to see what they can find—possibly the man who may have caused his great grief, possibly communities of the earliest people to call themselves "Greek." What Apollo, his daughter, and the rest of the expedition will discover…will change everything. The second book in Jo’s Just City series and one that allows readers to return to see how the world has changed since the original title (set 20 years previously.) As with Jo’s other work, its well written, steps off the pages into the readers imagination and is a title that has great prose and solid pace. All round it top notch writing, the dialogue just steps off the page and for me, the characters are the star attraction as they feel real and are people that I love to spend time around. Magic. Goldenfire is partly about second chances. It seemed appropriate for a second novel. 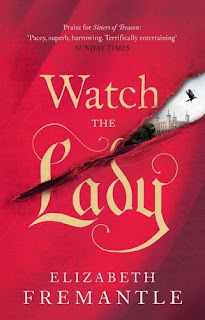 Although perhaps that’s being a little optimistic – there are so many books out there, these days, that I’m not sure any reader has time to give a second chance to an author whose first book they didn’t like. 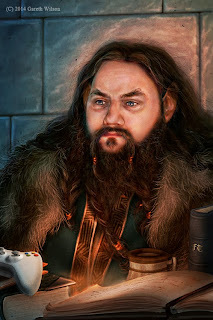 Still, as a reader myself, I know there are lots of books that fall somewhere in the middle: books that weren’t instant favourites, but I still liked enough to be interested in reading another by the same author. And it seems likely that my own first novel, Darkhaven, fell into that category for many people. They’re the readers I don’t get to hear about: the ones who didn’t love it so much that they had to tell everyone about it (I’m lucky enough to have had a few of those) or hate it so much that they had to do the same (I’ve had a couple of those, too) but simply read it, enjoyed it, and moved on to something else. Of course, since I never find out what those readers thought about the book, I have no idea which bits of it they liked and which they didn’t, which poses something of a challenge for the sequel. Ideally, a second novel would be far better than the first. It would impress all those readers in the middle – the ones who neither loved nor hated Darkhaven, but liked it enough to give me a second chance – into giving me a third chance. A fourth. A fifth. But without knowing what my general audience would class as ‘better’, I might be moving in completely the wrong direction. That’s the difficulty of writing a follow-up to anything. It’s impossible to please everyone, but an author’s continued existence depends on pleasing as many people as possible. All of this is rather a roundabout preamble to my actual point, which is twofold. Firstly, it provides a heartfelt plea to all the readers out there to review the books you read. Authors can’t write by committee, of course, but I’ve found it genuinely helpful to find out what people like and dislike about my work. If you ask for more of something in particular from an author, you might just get it. Secondly, and almost in direct contradiction to the first point (because that’s how I roll), I think the actual secret to writing a sequel is to forget what everyone else has said about the first book and just write the book you want to write. I love reader comments and I welcome them – sometimes they directly inform the direction I go in – but in the end, the story belongs to the author. Trying to please everyone ends up pleasing no-one; there will always be someone who doesn’t like what you’re doing. At least if you love what you’re writing, that passion will shine through. 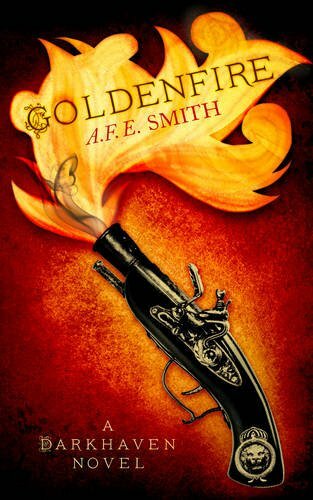 Goldenfire probably isn’t the book that my readers are expecting. I don’t know what they’re expecting – that’s the point. Some people may be surprised to find that it’s set three years after Darkhaven, instead of picking up straight away from the end of the first book. Others may be surprised to find new characters joining some of the old ones. But it’s the book I wanted to write, and I hope it’s enjoyable enough that those who have given me a second chance go on to give me a third. The brand new thriller featuring Investigative Analyst Fredrika Bergman and Alex Recht of the Stockholm police. On a cold winter's day, a pre-school teacher is shot to death in front of parents and children at the Jewish Congregation in Stockholm. Just a few hours later two Jewish boys go missing on their way to tennis practice. A heavy snowstorm hits Stockholm and the traces of the perpetrator are few and far between. Fredrika Bergman and Alex Recht are faced with one of their toughest challenges ever as they hunt for a killer that seems as merciless as he is effective. The leads in the investigation are many and diverse but in the end they all point to the same place: Israel. Someone or something called the Paper Boy keeps popping up in the police investigation. But who was he really? And could he possibly have resurfaced in Stockholm, now claiming new victims? I am a huge fan of Scandinavian Crime so every chance I get to slip between the covers is always grabbed with both hands, especially as I love the way that the landscape works wonderfully well with the darker aspects of humanking. However when I jump into a series, what gets me, is how accessible it is to not only an established reader but a relatively new one, who just happened to puck the book up by accident. 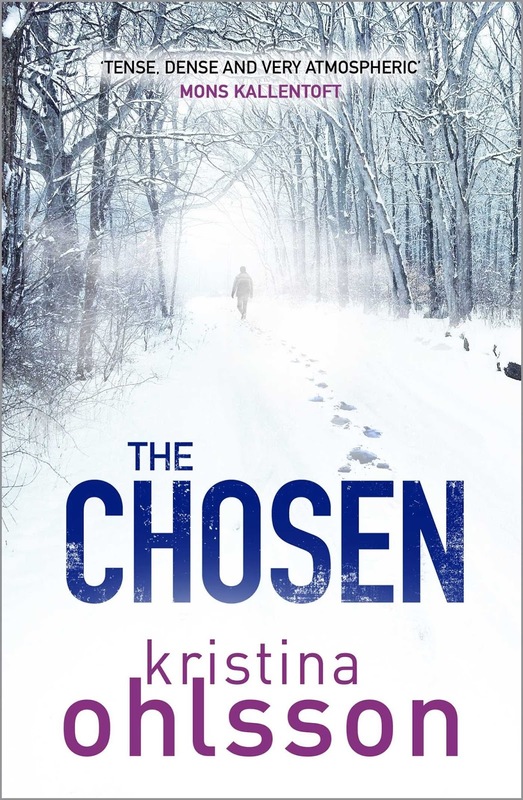 Whilst this is the fifth book in Kristina’s Bergman & Recht series, it does give the reader characters that have grown since the original although for me, whilst I did enjoy it, I had a few problems. However for me, what made this not as good as the previous outings was the flow problems of the language in places and whilst the previous books didn’t seem to have this problem, I suspect it was something more of a translation problem rather than an author error. Don’t get me wrong it is solid but when you’re taken out of the scene you’re reading and left thinking I’d have phrased it this way or that way, it interrupts your reading so much that it takes a while to get back in. All round, it is a good read but when I compare it to what I’ve enjoyed previously it sadly leaves me feeling a bit flatter, especially when in places it seems to over compensate to get plot across by rushing through certain aspects without allowing the characters to grow in the same ways that thy have previously. For me, if you want a top notch Kristina title start at the beginning and work your way through and whilst against others the book is still strong, against her own, for me, it’s the weakest. Lane Harmon, assistant to a renowned interior designer, is used to meeting the rich and famous in their opulent homes. But when she is called to the Bennett house, she knows this job will be different. Parker Bennett has been missing for two years - since just before the discovery that billions of dollars had vanished from a fund he managed. The scandal has not died and a cloud of suspicion remains around his name. Did he commit suicide or was his disappearance staged? 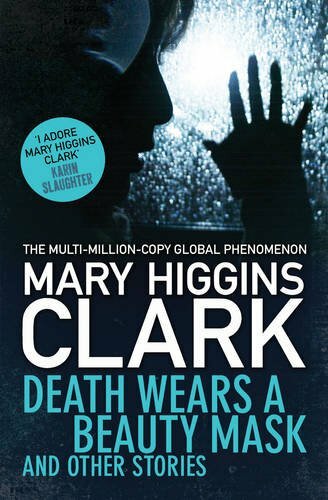 With the hair-raising skill that has made her a multi-million copy global phenomenon, Mary Higgins Clark combines a huge financial scandal and a breathtaking tale of deception and betrayal into one of her finest novels yet. Another Mary Higgins Clark title and having been disappointed with the short story collection I was rather hoping for something that would fulfil my need for cracking crime writing. What unfurled however was a book that whilst not awful was a book that was just OK. The story did what you wanted, was easy to follow and with a predictable principle character gave me pretty much what I expected without any surprises. That’s not always a bad thing however when I start a new year, I always want something to take my breath away, something that takes me on an unforgettable journey into something that stays with me long after the final page is turned. 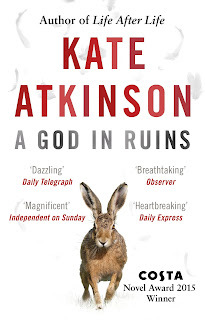 All round, this is just an OK book and at the end of the day, if you want an easy read then this is the one for you. If you want something to keep you on the edge of the seat then you’ll have to look elsewhere for now. 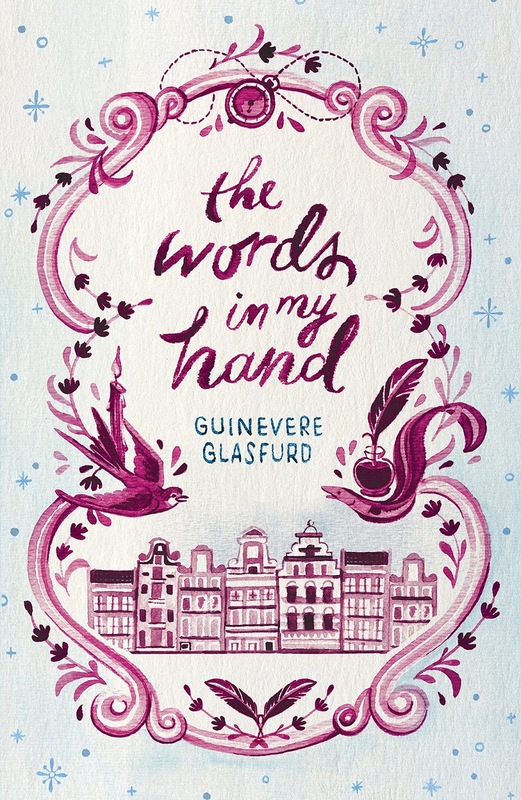 The Words in My Hand is the reimagined true story of Helena Jans, a Dutch maid in 17th-century Amsterdam, who works for Mr Sergeant the English bookseller. When a mysterious and reclusive lodger arrives - the Monsieur - Mr Sergeant insists everything must be just so. It transpires that the Monsieur is René Descartes. This is Helena's story: the woman in front of Descartes, a young woman who yearns for knowledge, who wants to write so badly she makes ink from beetroot and writes in secret on her skin - only to be held back by her position in society. Weaving together the story of Descartes' quest for reason with Helena's struggle for literacy, their worlds overlap as their feelings deepen; yet remain sharply divided. For all Descartes' learning, it is Helena he seeks out as she reveals the surprise in the everyday world that surrounds him. 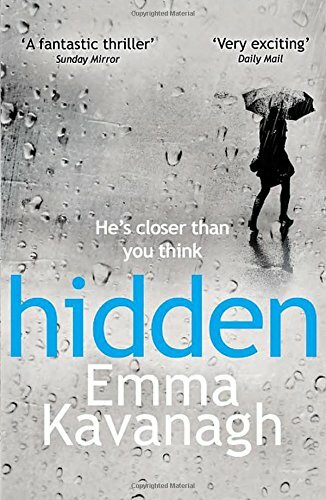 A story that I wasn’t really aware of and whilst I knew the name of one of the protagonists, the events and others associated with him would be a complete mystery to me, so that when I read this, it would be to not only learn about this love story but also to see how he fit into his timer period. 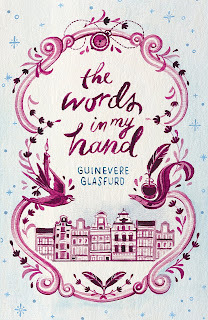 Firstly for me what Guinevere has done extremely well is bring the time to life, I loved wandering round the streets of Amsterdam getting to meet the tales characters and loved spending time getting to know them as this love story unfurls. 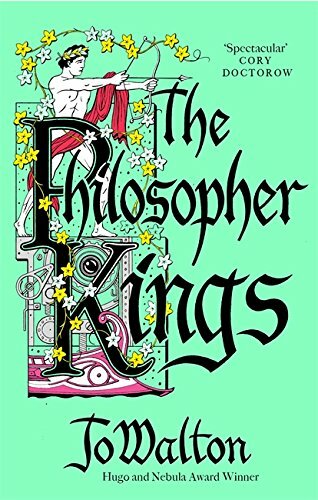 It has great pace, wonderfully descriptive prose and for me gave me a title that I didn’t want to put down, especially as real events blended seamlessly within the tales context to generate not only a snapshot of the time but of a mind that would go on to be thought of as the father of modern philosophy. All round I loved this book and its definitely a highlight to kick off the new year with. Cracking. The disturbing images lead her from her home in suburban New York City to small-town Louisiana, where she takes a commission to write a true-crime book based on the case of Gabriel Deveau, the young heir to a wealthy and infamous Southern family, whose kidnapping thirty years ago has never been solved. There she meets the Deveau family, none of whom are telling the full truth about the night Gabriel disappeared. And as she uncovers long-buried secrets of love, money, betrayal, and murder, the facts begin to implicate those she most wants to trust―and her visions reveal an evil closer than she could have imagined. I love getting to spend time with new authors, they have a lot to prove to readers to get their name out there and also you know that their first book always has a ton of love as well as being polished to the best of their ability. 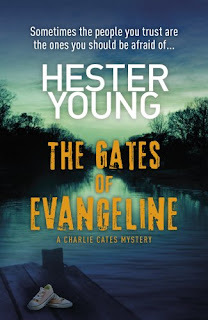 Its well written, the characters have a believability about them and when added to a delightful southern gothic vibe, generates a tale that I had quite a good time reading. Yes there are problems with some pacing and a few predictable twists but for a first outing (along with some surprise ones), its one that I was more than happy that I spent the time with. Cracking. OK, this is the review of the paperback and whilst the book blurb really hooked me I found that it was really hard to stick with. It didn’t flow for me and with an incredible snail like pace made it a struggle to get into and whilst the characters were OK, overall the book only really picked up in the last quarter partly as if it was a story that would have worked better had it been a novella rather than a novel. All round I was disappointed however with the characterisation being well executed I will give Renee another go in the future. This is a book that’s hard to talk about in detail with those who haven’t read it without it sounding boring. 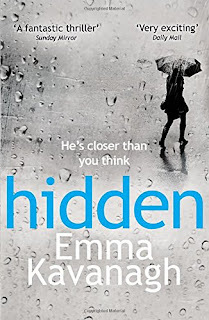 It’s a book that works for me as a reader as I loved the way that Kate brings the principle character Teddy Todd to life. He feels real and having lived through his wartime experience you can understand a number of his life choices. Add to this the way that Kate jumps backwards and forward with his timeline allows you glimpses at Teddy at a number of ages and how his choices affect him later in life. All round, it’s a book that I fell in love with, and would love to spend some time chatting with Teddy in a local establishment to hear his side of things as for me, he is quintessentially British. Add to the mix one hell of a twist and all round whilst it may not sound like your sort of book, it’ll be one that you’ll be pleased you took the time out to savour. I’ve read a few of Mary’s books and whilst on the whole I’ve felt that I get good story telling backed with solid writing and as a fan of short stories I was quite enthusiastic about having some travel time filled with tales that I could not only dip into but fully enjoy. Sadly for me, whilst the writing was Ok within, it wasn’t anything that really stood out, it felt dated, the character fairly flat and sadly for me as each tale was starting to get good, it was finishing. 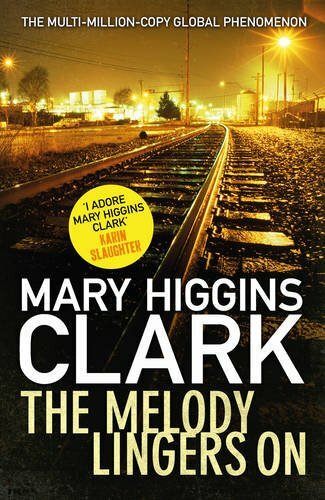 I’m not saying that its dire, what I am saying is that short story writing is a skill that not everyone can do and for me Mary is one of those authors who excels at presenting a longer story and for me, that what I’ll be reading her for, from now on. "AD 58: Rome is in turmoil once more. Emperor Nero has surrounded himself with sycophants and together they rampage by night through the city, visiting death and destruction as they go. Meanwhile, Nero's extravagance has reached new heights. The Emperor's spending is becoming profligate at the same time as the demands of keeping the provinces subdued have become increasingly unaffordable. Could Nero withdraw from Britannia, and at what price for the Empire? As the bankers of the Empire scramble to call in their loans, Vespasian is sent to Londinium on a secret mission, only to become embroiled in a deadly rebellion led by Boudicca, a female warrior of extraordinary bravery. As the uprising gathers pace, Vespasian must fight to stay ahead of Rome's enemies and complete his task- before all of Britannia burns. " 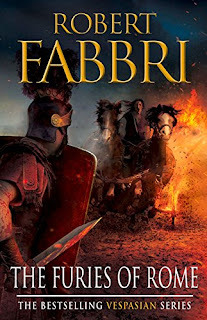 Robert Fabbri is an author that I love to spend time with as he brings the past wonderfully to life giving flesh and bones to a bygone era where death and life are sometimes a whisper away from each other and none perhaps more so than the violent times of Vespasian who has survived a number of made emperors and now faces the wrath of Nero alongside his sycophantic minions. 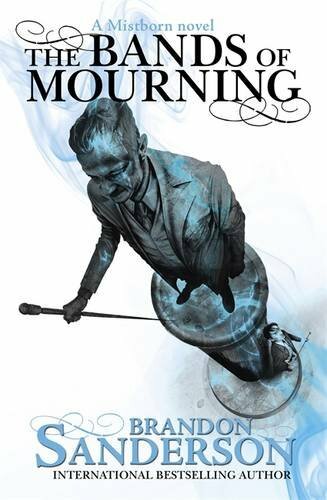 Its well written, the prose is sharp but what Robert always does well is the characterisations which not only make them feel real but by allowing them to grow from the past that has shaped them, makes them feel more alive to the reader. It’s a trick that’s hard to pull off and at times for many authors can lead sadly into a too much information that detracts from the tales pace. Add to this delightful dialogue as well as a wonderful overall arc that has our hero travelling the length of the empire all round makes this a book that I really couldn’t put down. Cracking. WHO IS THE REAL PENELOPE DEVEREUX? Penelope Devereux is a legendary beauty in the court of Elizabeth I, with a smile that would light up the shadows of hell. But it's not just her looks which have won her favour with the Queen wing; her canny instinct for being in the right place at the right time, and her skilled political manoeuvrings under the guise of diplomacy, have rendered her a formidable adversary to anyone who stands in her path. For Penelope must secure the future of the Devereux dynasty at whatever cost. Even treason. And the Queen, a woman she holds responsible for the death of her father, the exile of her mother and her failure to marry the one man she ever truly loved, is just one more pawn in a deadly game. 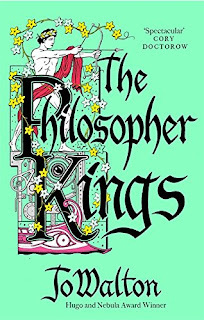 Walking the knife-edge of court, whilst ensuring that her reckless brother Essex remains the only star in the Queen's firmament - and out of the Tower - Penelope must plan for the inevitable succession of an ailing monarch. 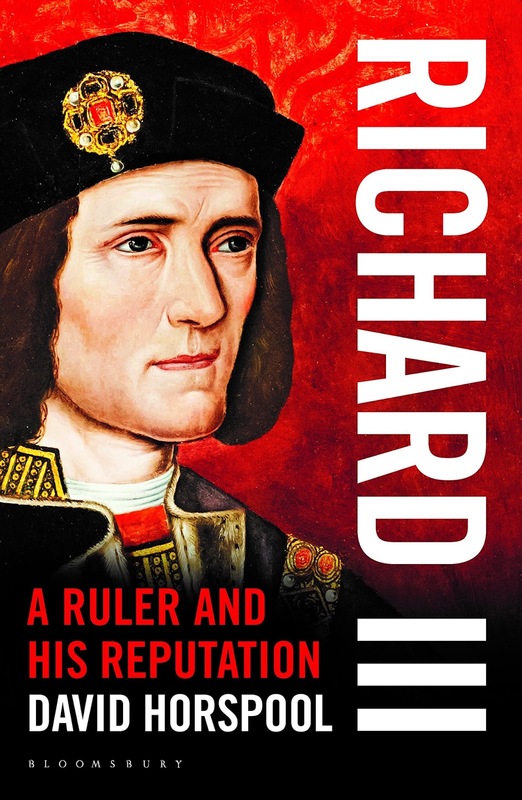 But her secret letters of friendship to a foreign King - one who has a strong claim to the English throne - could see her illustrious family in the gutter and her own head on the block. It would only take a single mistake, a slip of the tongue, an intercepted message for Penelope to become the architect of her downfall. In a world where sister is turned against brother, husband against wife, courtier against queen, the rules of the game are forever changing. History has a habit of recording the successes of the rich and powerful but most of the time, that’s just a war between the men that one has triumphed in. It’s very seldom that we hear stories of the females from our past and also rare that they warrant a mention in historical documents, so it’s why I love to sit down with authors like Philippa Gregory and Elizabeth Freemantle. Each has the ability to breathe life into those who have gone before and add flesh alongside bones to their story to help it come across to the modern reader. This book by Elizabeth is one that I thoroughly enjoyed, I loved the political double dealings, the moves and countermoves and above all else the principle character that just made this book a pure joy. She’s fully rounded, you can see her motivations as well as emotions at work and for me that’s the sign of a good author. Yes it is a little slow to begin with but it really is worth perceiving with in order to get a story from a woman I didn’t really know anything about. Magic. I’m always a little worried when as a reader we get to revisit an icon of a genre and to be honest I’ve been a bit worried about reading the new Pinhead title as I felt that if he didn’t live up to what I was expecting I’d not only be disappointed but quite upset at having a firm favourite manipulated into a shallow shell of what he was. So with a great deal of reticence I picked up the book and began. OK, so it wasn’t as big a problem as I thought it was going to be but Pinhead had changed, he wasn’t the cenobite I was expecting and for me, whilst it was his book, he felt more like a player than the starring attraction. That was wrong and whilst I did enjoy a lot fo the description when something plays heavily against what I was expecting and changes an icon I really have a hard time fathoming some of the actions. 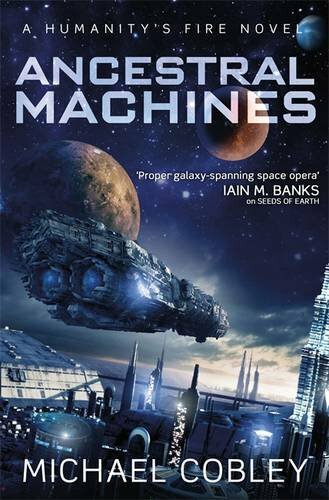 All round it is an OK book and whilst a number of people will love it with the solid prose and cracking description, a great many others will dislike it purely for the problems with our favourite cenobite. A solid Meh of a book for me. So emerged the first exposé of foot fetishism in the eighteenth century. 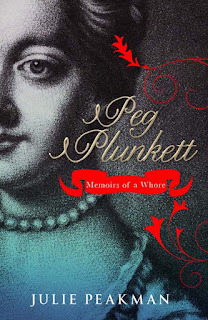 Revelations and racy anecdotes about the lives of the rich and famous of Dublin and London abound within Peg Plunkett: Memoirs of a Whore. From a violent domestic background, Peg blitzed her way through balls and masquerades creating scandals and gossip wherever she went, leaving dukes, barristers and lieutenants stranded in her wake. She was the first madame ever to write her memoirs, thereby setting the template for the whore's memoir. She wrote not merely to reveal herself but to expose the shoddy behaviour of others and her account of her life. 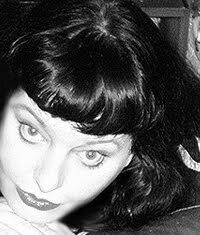 In Peg Plunkett: Memoirs of a Whore, Julie Peakman brings her subject and the world through which she moved to glorious, bawdy life. A title that is as scandalous as the life led by this 18th Century Lady of the Night and one of fame within Ireland and beyond. Whilst the title is salacious to tempt many a reader in, the book worked well for me as excerpts from one of Peg’s three diaries have made their way in to help (alongside Julie Peakmans work) explain the time that she lived in. Its definitely a book of academia and whilst for some they’ll be put off, I found it not only fascinating but enticing especially seeing how people of the time lived and spotting many similarities by today’s standards. All round I was glued to each page learning terms that were utilised at the time and getting to explore Peg’s own extraordinary life. Thanks to Julie for making it so readable. 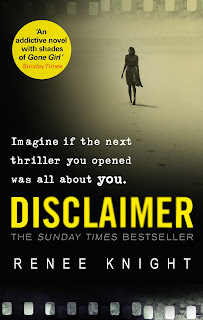 Set in Britain, this book is a crime thriller that takes the reader to the heart of a crime scene and then travels back through the eyes of various participants bringing the story to its forthcoming confrontation. 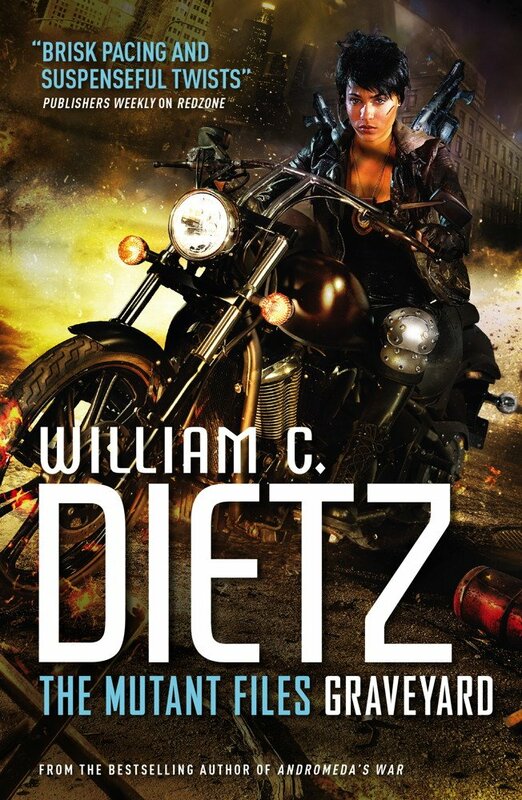 Its wonderfully written, with gripping prose, solid dialogue and characters that the reader will care about. It also has some solid narrative that keeps the pages turning which when added with a good use of pace makes this a book that should be on your to be read pile. An absolute cracker. Among the stars and across the vast expanses of space, the Galactic Civil War rages. 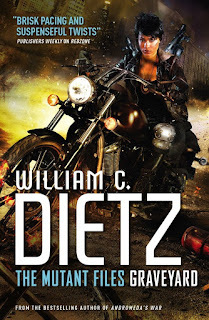 On the battlefields of multiple worlds in the Mid Rim, legions of ruthless stormtroopers―bent on crushing resistance to the Empire wherever it arises―are waging close and brutal combat against an armada of freedom fighters. In the streets and alleys of ravaged cities, the front-line forces of the Rebel Alliance are taking the fight to the enemy, pushing deeper into Imperial territory and grappling with the savage flesh-and-blood realities of war on the ground. Leading the charge are the soldiers―men and women, human and nonhuman―of the Sixty-First Mobile Infantry, better known as Twilight Company. Hard-bitten, war-weary, and ferociously loyal to one another, the members of this renegade outfit doggedly survive where others perish, and defiance is their most powerful weapon against the deadliest odds. When orders come down for the rebels to fall back in the face of superior opposition numbers and firepower, Twilight reluctantly complies. Then an unlikely ally radically changes the strategic equation―and gives the Alliance’s hardest-fighting warriors a crucial chance to turn retreat into resurgence. Orders or not, alone and outgunned but unbowed, Twilight Company locks, loads, and prepares to make its boldest maneuver―trading down-and-dirty battle in the trenches for a game-changing strike at the ultimate target: the very heart of the Empire’s military machine. With Star Wars: Battlefront to hit the shelves shortly, fans of the franchise will be clamouring for something to help them really get into the game as well as giving them some additional mythos to the already well established series. 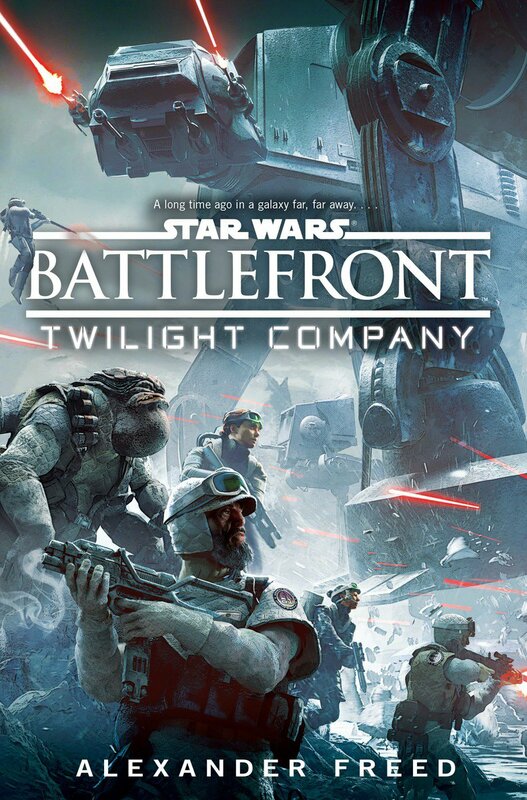 Set after the Battle of Yavin (Star Wars: A New Hope, the destruction of the original death star), readers will follow the Twilight Company as events unfurl allowing the reader a chance to see the war from another point of view. As most people know, books are a guilty pleasure for me. I love to break from the real world, to visit the imaginations of others and thoroughly enjoy being immersed in something different to the norm. What this title from Benjamin does is take the reader into a beautifully descriptive world that paints the picture vividly into their minds. 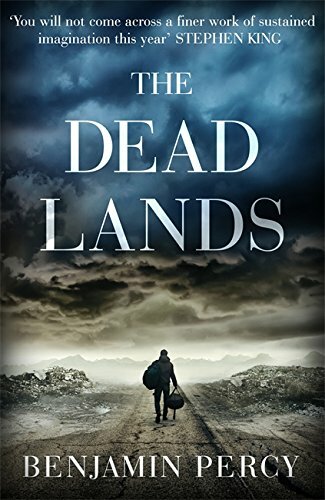 The words are almost poetic and when you add that he’s prepared to introduce and murder people into the mix, works deliciously well to help keep this bleak future at the forefront of the reader’s attention. The prose is sharp, the pace delightful and when added to solid storytelling made this a book that I had a hard time putting down. That’s not to say it’s not without its faults, the ending felt a bit too fast with a number of issues unresolved and whilst I can accept this in a title I do find it more than a little frustrating as I like clear points to pick up from for future outings. All round a good read and one that I’m pleased I stayed with especially as it took a little time to get into the authors writing style. Cracking. A British King that I’ve always wondered about as whilst I know the supposed history attached to him, a lot of what I know was propaganda at the time, emphasised by those who took over the realm as well as accepted by writers like Shakespeare as he didn’t want to upset the royal personage of the day who was related to Henry VII. All round it’s a well written book and one that I got quite a lot from making David an author I’ll be keeping an eye on for future outings. Magic. John Grisham is one of those authors that feels to a reader like he has a new book out every few months and whilst I don’t read him all that often, I am more than aware of his sheer volume of work. Wanting something different to a lot of the other books I’ve been reading recently, I picked up this latest offering and was given what felt like a ton of short stories tied together that were quickly written and ended just as abruptly. 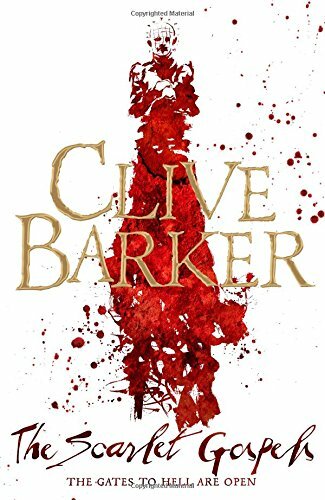 All round it felt like a book that was just churned out to trade upon the authors name and rather than presenting a solid story with a lot of twists that his earlier titles gave me. A great shame and one that will leave me cool to his work for some time to come. Sanderson, is an author that is not only prolific but one that time and again produces quality writing that not only enthrals but entertains keeping the reader glued until the final page is turned. The characters are a delight to spend time with, the prose is sharp and when you add backstory alongside further progression alongside growth makes this a series that is seriously too good to leave alone. 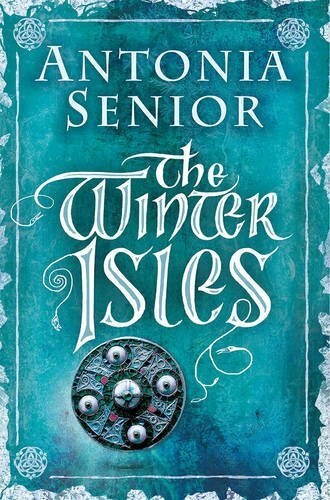 All round a cracking piece of writing that when backed with top notch pace, delicious dialogue as well as more world development where choices have consequences all round make this a cracking series to gift to the fantasy fan in your life for any time of year/. Ten years have passed since the disappearence of Lucien and his protege, the young swordsman Dino, is struggling to live up to Lucien's legacy. Sworn to protect the silent queen Anea as she struggles to bring a new democracy to Demesne, Dino finds himself drawn into a deadly game of political intrigue as the aristocratic families of Landfall conspire to protect their privilege. Always ready to prove himself as a swordsman Dino is anguished to discover that in order to fulfil his vow he must become both spy and assassion. The follow on book from Den in his Erebus series (the first being The Boy with the Porcelain Blade) and whilst I gave the previous book a solid review, I wasn’t enamoured enough to rate it any higher. However with a lot of the hard work done on the world building in the first, this title helps not only expand on character development but also gives additional dimensions to the authors work. 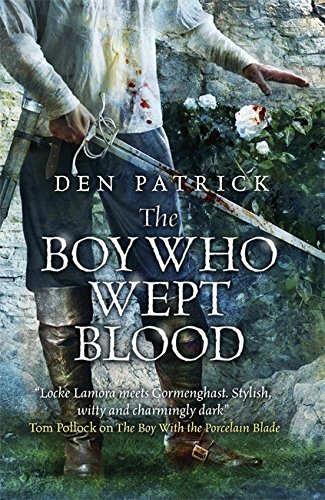 Its well written, the action is crisp and all round I enjoyed this book way more and as such think its not only better than the first but also establishes a solid world for future outings for Den to twist and turn to his own devices. Cracking.